To own your own home in Australia is well known as the 'great Australian dream'. Of course with this is the Aussi backyard, which is so diverse in the different lifestyles we can live here. Some people have a backyard that stretches as far as the eye can see, others have a simply balcony, and others, like myself have the suburban block with the lemon tree and Hills hoist down the back. No I don't have a Hills hoist now, but as kids we certainly did, and boy did we have fun swinging ourselves around on it. The eldest brother even broken one or two with his mates, but that's a different story. My mum has always provided me with my lemons from her lemon tree that was a present from her father. In my kitchen there has also been 101 uses for her juicy sweet lemons that arrived in abundance . There's the lemon meringue pie, the lemon and sugar crepes on a Sunday morning that my youngest daughter can never tire of, home made lemonade in summer and of course the lemon curd which i love on sweet biscuits, just to name a few. I would also take the opportunity to freeze the juice in cubes as well when there were far too many lemons, to use in the future. 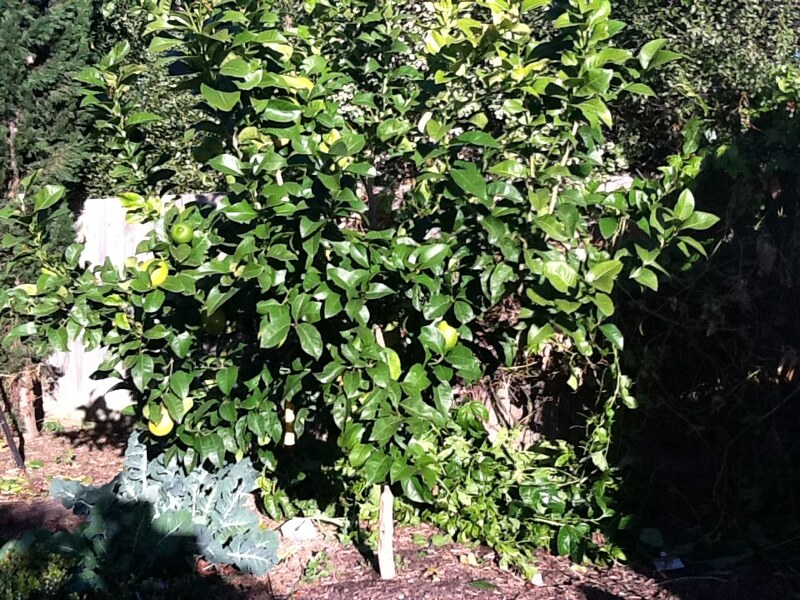 Three years ago I decided to plant my own lemon tree. In melbourne a lot of our lemon trees suffer with gall wasp infestation. This is when the gall wasp lays it's eggs into the soft new growth of the tree trunk. The eggs grow in the trunk, causing a swelling, and then they hatch and leave open egg lumps in the tree. Seems harmless, however over time this greatly decreaes the quality and quantity of the fruit. There are two ways to treat this. The first being to cut the swelling areas and branches completely off, disposing of the infested branches. The second method I tend to use. You cut slices of the trunk off where the swelling is, therefore exposing the eggs to open air. They naturally die. Sometimes however, the tree is far too infested to do this second method. There are also slicky strips that you can hang in your lemon tree that attract and catch the insect. My tree has been in for three years now, and with no signs of any gall wasps, although I have removed bits of the tree, I am now eating and cooking with the juiciest and biggest lemons. My dad's favorite is the lemon meringue pie, so here's the recipe. Enjoy! Sift flour and icing sugar into a bowl, rub in butter, add egg yolks and enough water to bind together. Wrap in cling wrap and refrigerate for 30 minutes. Roll out pastry and line pie dish, fill with baking weights and bake in moderate oven for 7 minutes remove weights and bake for further 7 minutes. Spread filling into pastry shell, top with the meringue and bake until golden brown tips form ( approx. 5 mins). Combine cornflour and sugar in saucepan, gradually stir in lemon juice and water, stir until smooth. Stir constantly over heat until mixture boils and thickens. Careful not to leave alone or it will burn. Remove from heat and quickly stir in lemon rind, egg yolks and butter. Stir until butter melts. Cool to room temperature. Beat egg whites until firm peaks form. Gradually add sugar, beat until dissolved. Hello! Thank you for visiting :) Your garden is gorgeous, you plant all my favorite edibles. The dream of owning ones own home is further qnd further from reach, i feel so blessed we managed to buy a place two years ago. Lots of work to do and it's lovely to read stories like yours. One day I'll build my dream garden too :) I've had mixed success with my lemons, maybe you can give me some tips! I wrote a post not long ago on the sorry state of one of my lemons. Looking forward to more of your posts! Hi Gardenbliss, I just found your blog through Mrs B and was very happy to find another Melbourne blogger! I have just purchased my australian dream in the outer eastern suburbs and am slowly building up the garden and am yet to plant a lemon tree! 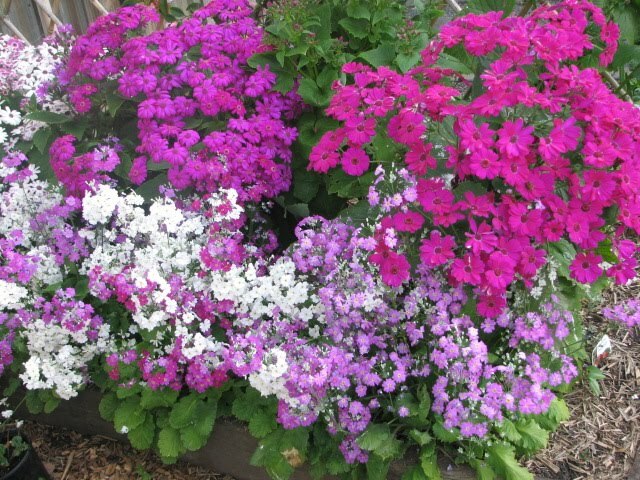 Hi Phoebe, great to always connect we a fellow Australian gardener. Good luck with the new home and I look forward to reading your blog when I return from being stranded in Hobart.